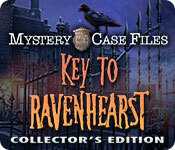 Mystery Case Files: Key to Ravenhearst Collector's Edition is rated 3.6 out of 5 by 230. 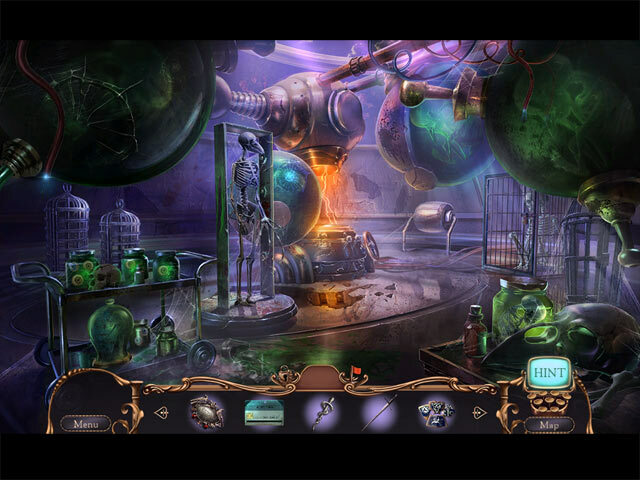 Rated 5 out of 5 by Izzy1287 from The Return of Past Characters, and a Loveable New One If you are not familiar with the Mystery Case Files shift, there was a change of game creators. While the first few games were made by Big Fish Studios, and a couple by Elephant Games, this game and all games after have been made by Eipix Entertainment. While the new game creators had a lot to live up to, they continued the series pretty masterfully in this addition. They incorporated the twisted minds of the Dalimars, introduced some new characters, and a couple of old ones into an already well-established series with characters it's hard not to love. The bonus game adds a dimension to the storyline with Benedict's backstory, and it was a great decision to do so. The game itself has quite a few challenges, yet not as much as past games have been able to offer. Differing from past MCF games, the characters are all animated where past games have used real people. As someone who has played the MCF games religiously since 2008, this change did spark some sadness in me, but I understand that finding new actors and incorporating them into a style that is unfamiliar to the new company's is highly unlikely. Things I love are the new additions to the game with the harbingers(ravens that hide in each scene), the extra content, and the awesome rock cover of the Ravenhearst theme song in the menu. Something that was missing, however, was the famous diary of our Master Detective, replaced with Alistair's Enigma, a replacement that was both unnecessary and confusing. 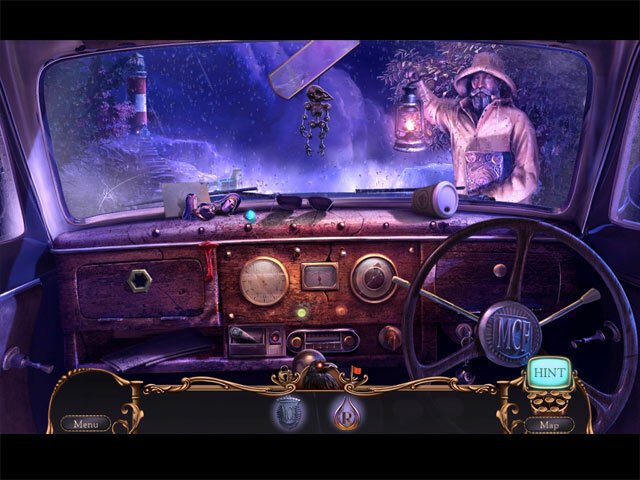 Despite my picky taste, this game was highly enjoyable and a great addition to the Mystery Case Files genre. Rated 5 out of 5 by Majestyx12 from Oh what a Ride I like the throw back to Madame Fates Carnival and they had a cute crude drawing in a jail cell of her. Liked the collective lighthouses and they lit up and shone when you found one which I stopped and watched every time. As for the story, Charles's twins have the same names as the twin ghost girls from Return to Ravenhearst which he enslaved in death to serve him. So since he lost them to the Master Detective saving and releasing them, did he have to name his own children after them? Don't know but is the only thing that makes sense. Rated 5 out of 5 by Summersage13 from Love Love the Ravenhearst games! I would recommend to anyone who loves hidden object games! Rated 5 out of 5 by tutortime from Excellent Game ! MCF never disappoints. Excellent - game, solid storyline, graphics ( a bit dark ) and mini games. Extra features - finding all the black ravens in each scenes and morphing items. The cc edition was worth the money as it was all new scenes and story line ( a cliff hanger! ). Also, if you missed any birds you can go and find them. Rated 5 out of 5 by An0therW0rld from Stayed True to Original Ravenhearst Theme. This episode of the great Ravenhearst saga was one of the very best games I have played and the developers have captured the flavour of the original Ravenhearst series ... hands down! ... Present and correct ... the familiar Ravenhearst creepiness and craziness : - ) The super duper super puzzles are enterwined into the story and I really enjoy the challenge of those unique puzzles which you do not see in other games - you can however have help through the steps if you wish ... The HOS are clever, fun and well done - in fact, the finest graphical details attended to throughout the entire game. Upon entering the Ravenhearst Museum ... a wonderfully eerie three part scene : "Hello Mr Television Man". The bonus chapter is kooky and fun and from another character's perspective - well worth the play. Even the maps for this game are awesome. It is nice to "meet" some of the team of the developers in the "Making Of". Can't wait to play the sequel to this game. Have I been there? Where? To Ravenhearst - yes! I have and in true style! Fabulously fantastic game, Thank You. Rated 5 out of 5 by Opticspy from Nothing But Love This series is my all time favorite!!! I actually play this Series over and over and over again. 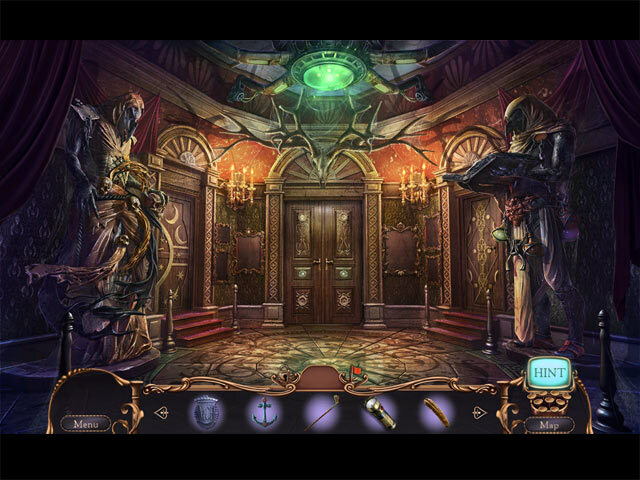 I even dream of the day they remake the original Ravenhearst game into a Collectors Edition. The mini games in this game are the best I have played and I love being able to replay them in the Extras. The idea of a morphing object inside the HOS was great and some were very hard to find, I love It when I can replay the HOS because I can work on time played. The only thing missing was time list you can work against to come out on top. But, I record my own and beat myself!! Within 1 week I played thru twice and enjoyed it again!! I think this story line can go on and on and I hope it does. I do recommend this game for anyone who is addicted as I am to these type games. I did however miss the live actors. I have already started the series over again so I can do them in order again! INSANE RIGHT!!! Rated 5 out of 5 by marc3702 from Great Game Great game! I have been critical of reusing the Ravenhearst storyline in years' past, but this one was a nice twist. It builds on the story without beating it to death as was the case with Charles. The games were challenging towards the end. All in all, a good game. Rated 5 out of 5 by JuliSolo from A great continuation... but This was an amazing sequel to an amazing story-line I've followed since the beginning.The story line veers but is well put together, the scenery is beautiful and the graphics are out of this world thank you for this game. But I am confused about a few things dealing with the twins I don't want to do any spoilers but a few details about the story don't make sense so please be advised to anyone reading this that hasn't played the game... SPOILER ALERT!!! One - why are the twins adults now? When they were all brought back they were still children. Two - Where are Emma and Rose? wouldn't they have stopped the girls from becoming the monsters they now are? Three - How in the world is Charles Dalimar the twins father?!! In Return to Ravenhearst, there is an article in which Rose's actual husband says he's imploring the police to look deeper into the disappearance of his wife and daughters. If he believes that he's the father then does that mean that Rose had previously had an affair with Charles or he assaulted her and she got pregnant? and if that's the case why did she (continue to?) work for him? Or why wouldn't she have warned Emma sooner as her care taker?